A view of the Gemini Hotel after its revamp. 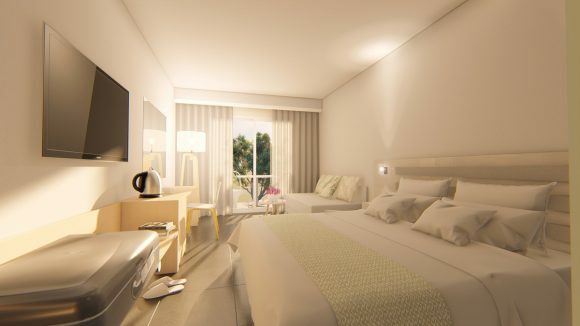 Greek hospitality group CNic Hotels is proceeding with the upgrade of its Gemini Hotel, located on the island of Corfu, from a three- to a four-star hotel. CNic Hotels acquired Gemini Hotel on December 15, 2018. 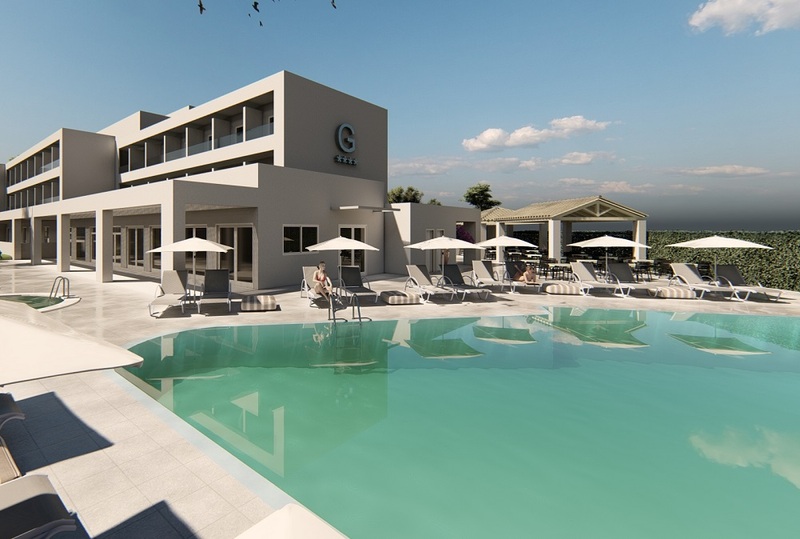 According to an announcement, the hotel is currently undergoing a major revamp– an investment worth 2.5 million euros – and will be ready to open its doors on April 25. “Having set high-quality standards for all our services, our team will soon be ready to welcome guests from around the world for the upcoming summer season,” said CNic Hotels Operations Manager Anastasios Simeoforidis. The Gemini Hotel is located very close to the crystal clear waters of Messongi beach on Corfu. 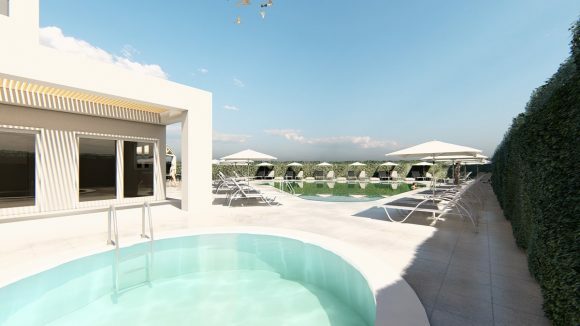 After its revamp, it will consist of two buildings with 123 luxury rooms, swimming pools for adults and children, a restaurant and a pool bar. “Focusing especially on the needs of families, the facilities of Gemini include playgrounds as well as a Kids Club. 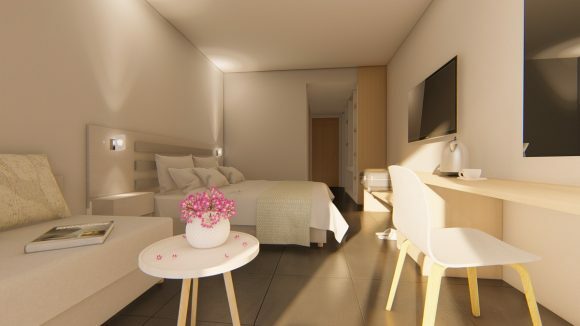 Furthermore, the hotel offers a number of services for its little guests including kids menus and lots of entertainment activities with its animation teams,” Simeoforidis added. The CNic Hotels group was established in 2008, with the aim to offer a wide range of management and consulting services to hotel and tourism enterprises in Greece. 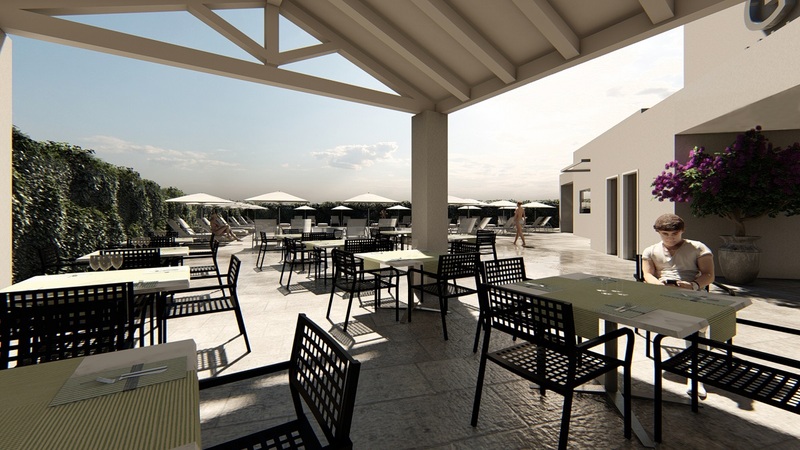 The group has undertaken the dry-lease of Hotel Hellinis on Corfu. In 2011, CNic signed an agreement for the long-term lease of the Paleo ArtNouveau hotel, located in Paleokastritsa on Corfu, while in 2018, the group acquired the Gemini Hotel.